Mine sadly broke while in the bag and before I could photograph it. This is a new Christmas product and quite a strange one as it contains melon soap flakes which you can use to wash with! This fruity, fizzy party piece is a movable feast of delights. Contains everything you need for a celebration in your own bathtub. 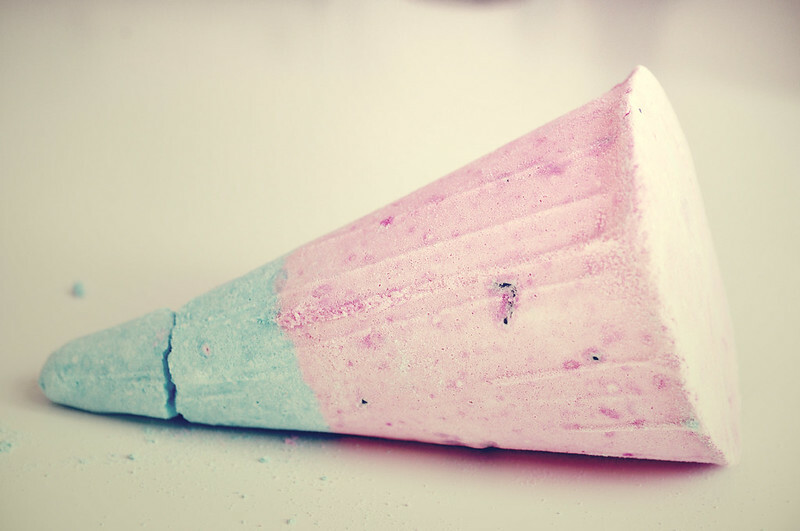 Drop a Party Popper cone in your bath and watch it spin into action, as it goes on a spree across your bath spreading colours, fragrance, popping candy and soap confetti. Softening your bathwater, fragrancing your skin and washing you clean.